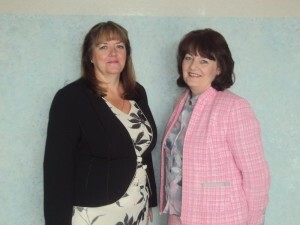 Tricia Clewett and Donna Stewart are Directors and joint owners of Clearer Thoughts. Both have spent the greater part of their careers in training and development. Before setting up this business they worked together for the Littlewoods Retail IS Training function. Here they were responsible for analysing and satisfying the development needs of staff throughout the company. They sourced expert skills for the IS specialists and developed and delivered programmes for personal development, management development and end-user IT. In Clearer Thoughts they aim to offer that same intensive knowledge of internal needs to all their customers. With each client they aim to integrate seamlessly with their own HR or Learning & Development function. Tricia says: “We established Clearer Thoughts at the start of 2001. Our wonderful bluechip clients – Shop Direct Group, Monsoon and QVC among others – regularly tell us we’re doing a good job so we can safely say that we offer corporate-quality development services to all our clients, whatever their size. Whether you’re the owner of a micro-business, the manager of an SME or a director of a major corporation we can help your business development by enhancing the work-skills, knowledge and confidence of your staff. But don’t take our word for it. We are accredited by The Training Foundation the ILM and OCR. Between them, these organisations offer standards in training and management which are unrivalled in the UK and recognised throughout Europe.